In yesterday’s post, we published the first half of a transcript from our sister publication’s interview with Patrick Prince, the associate vice provost and chief threat assessment officer for the University of Southern California. In the rest of the interview, Prince digs a little deeper into the connections between substance abuse and workplace violence, how drug testing can serve as an important deterrent, and the importance of building a culture of communication in your organization. Justin Scace: Now, not everyone who abuses substances is necessarily going to commit an act of violence, so what sort of factors, if they’re different from the ones we’ve already been talking about here, what factors might suggest that a substance abuser is more or less likely to become violent? Patrick Prince: Again, these are great questions, and they’re not easily answered. First of all, when we look at the low levels of what I would call, low-grade violence, belligerence, argumentative, hostility, defiant, and substance use, they look very similar. Having said that, most folks who engage in substances, thank God, never have any problems. We have hundreds of millions of folks drinking in this country, and thank God, very, very few go on to violence. What I think happens is at the low-grade, I can’t really distinguish, because it’s that lowering of inhibitions, it’s acting out impulsively, low-grade violence, substances, very, very consistent. As the person moves along, I truly don’t believe at the high level of violence where we look at the homicides, I don’t know, at least in the workplace, that’s substance-related because that’s more of a psychological thing. If I come to work and kill my boss, I know that only one of two things is going to happen. I’m dying or going to jail. Everybody knows that, so when somebody comes in and still engages in that behavior, psychologically, that’s a big deal. I think at the higher levels of violence, the much more extraordinary, the psychological issues like depression are much more relevant, at least in the workplace. So one of the things we look at then is that desperation that substance abuse brings along. For many folks, substances are social. They bring people together. For the long-term, chronic abuser, it alienates their family, it isolates them from their peers, it creates financial devastation. Desperate people act out desperately, so the substance abuse, I think, directly contributes to low-grade violence. Somebody who’s high is more likely to act out impulsively and aggressively. When we look at homicide, I think what’s happened is the substance abuse has been in the background and has eroded all those other protective factors that we would look for, and so once again, substances may not cause the event, but they certainly contribute significantly, and it’s that overwhelming isolation, desperation, lack of resources. Desperate people do desperate things, and that’s what we worry about with violence and substances. Justin Scace: Okay. We’ve talked about violence warning signs, substance abuse warning signs, and how they’re pretty much indistinguishable, and signals one may indicate leading to the other, so how can employers successfully train their employees to be on the lookout for all of these things and report their observations to the right people? Patrick Prince: I think what we try to do is empower our supervisors, reinforce mid-level management, support of our supervisors, to identify areas of concern. One of the other things that I do is when I do substance abuse training, and I was very fortunate, I had two roads converge many years ago. While I started doing work in the area of violence prevention, I was also approached by the sergeant of the Los Angeles Police Department, and they were creating a brand-new program called the Drug Recognition Expert Program. I was brought on board and I spent 25 years as a reserve officer with the Los Angeles Police Department training officers on how to identify people under the influence. We can take some of those basic elements. We don’t necessarily look at the same kinds of things that a police officer might because we have a different role within the work environment, but we look at behaviors of concern, and we start to use the most appropriate intervention. What again, I would consider to be low-grade violence, still significant to the person experiencing, but low-grade as far as imminent fatality, the drug test is a very good first tool, so what we want people to do is, I think, when we look at human resources, they support the supervisor, they support management, and what they do is they gather the behaviors, and we don’t just go down the violence path, we don’t just go down the substance abuse path, we don’t just go down the discipline path. We merge them all together. I think companies would be well-served by having HR trained to go work with supervisors, and every time there is an issue that comes to HR, that goes up the management chain, is disruptive, non-performing, creating distress, always ask, “Is this something we can test?” Rule it out, but always ask, and you don’t have to drug test everybody, but we certainly need to ask, “Is this relevant?” And so I think we can empower our supervisor. We can train people to be willing to act more quickly, and we need to make sure that people realize to get somebody drug tested is not an invasion. Drug testing for cause is extremely supported by the courts. We have to make sure people are trained. We need to make sure they’re fair, but that’s what we should do anyways. Justin Scace: Okay. Let’s talk a little bit more about drug testing. It’s a concern for EHS professionals for a lot of different reasons, the safety angle there, but many may not have considered this particular angle, so could you talk a little bit more about how does drug testing fit into a workplace violence prevention program? Patrick Prince: The testing that I’m going to support is when we test for cause. Patrick Prince: There is a reasonable basis to test. What we have to get our line supervisors more comfortable doing is realizing they’re not expert in what substances are, and we talk about substances when I do training, we’ll talk about alcohol versus meth versus the opioids. Those are interesting. But what we want them to focus on is you don’t get somebody tested because I believe they’re taking meth, for example. 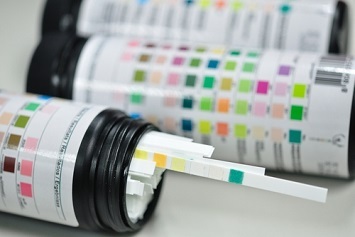 We get somebody tested because they’re impaired, and a drug test is just a tool that helps us understand or get more information related to the observed impairment. We have to as an organization address impaired behavior. What we have to do is get supervisors to realize that they understand impairment better than anyone else. As smart as I am, as intact as my ego is, I’m not nearly as good as a front-line supervisor identifying safe, effective, appropriate behavior in their industry. So what we start to do is we let supervisors, managers understand that their job is to identify impairment. Our job as an organization is to provide the tools to learn more about it, and drug testing is just a tool to help understand the observed impairment. A positive test, we go down one path. A negative test is still relevant. We go down a different path. So I think we need folks to understand drug testing is not pejorative. When we look at testing for cause, as long as there’s adequate training and mechanisms in place, it’s very accepted by the courts. I think we’re very safe and appropriate going down that path. Justin Scace: That’s great. All of these issues surrounding violence and drug use and drug testing, they touch upon many areas of a company. It’s a safety concern, obviously, but it’s also a human resources concern and a security concern. Do you have any recommendations for how professionals in these different departments can effectively communicate and coordinate to create a solid prevention effort company-wide? Is there generally one department that should take the lead in creating policy as well? Patrick Prince: Well, first, let me address the need to effectively communicate, to coordinate that solid approach. We’ve used a term in the violence prevention field since 2001, following the World Trade Center bombings. There was an FBI agent out of Phoenix who wrote just a remarkably insightful memo who said, “We knew that some of these people were not good people. We knew they were doing things that were inappropriate, but no one connected the dots,” and that’s what we have found in situation after situation. Generally, what we find is that workplace violence is never a surprise, but there’s that failure to connect the dots, that they may have a history of minor safety infractions, they have a history of filing grievances and EEO complaints that just don’t have merit, they have a history of creating disruption, but we don’t connect the dots. So ultimately, safety is integral to this. All of these impact overall safety. Ultimately though, I think it’s going to be HR, human resources, personnel departments that do coordinate, that take the lead, because I think we train our HR folks to collaborate, I hope. We train them to act as internal consultants. I really like when there’s an issue where a supervisor says, “I don’t know what I have. I don’t know if it’s drugs. I’m not really sure. I don’t know if it’s violence. He’s not that bad. He kind of acts …” That’s the best time to pull management and HR together. I want safety’s voice at the table. They know the safety professionals have information about unsafe behaviors, about conflicts, and generally, I want their voice at the table, I’d like security at the table. Ultimately, I think HR is going to be the voice that brings them together, though, and breaks down the silos. Justin Scace: Okay. Great. If you could give … If you had to pick just one impactful piece of advice to a safety professional who’s looking to tackle this issue in his organization, what would that be? Patrick Prince: I think there’s different approaches. I’m going to give a very simple answer long, and I apologize. Patrick Prince: Typically, we look at the workplace violence, there is a lot of emotional resistance. There was a utility that I did some work with in southern California that had an employee murder a couple other coworkers, and I remember talking to the head of security, and he said, “We never thought it could happen here because we’re kind of like a family.” One of the hardest things to do is to overcome this sense that it can’t happen here, because we know substance abuse affects everyone’s family, so I think sometimes what we do is we come in from the … You understand how substances affect people. We’ve all been impacted. We know this impacts our company. Our goal is not to become prohibitionist and undercover police detectives. We don’t need to become dope cops. We don’t need to become the talk police, but we need to comply to the EO. We don’t need to get into telling people how to breathe and walk, but we can’t have unacceptable aggressive behavior. I think what we say is the most important thing is to get past this notion of it can’t happen here, because we know it happens, and then if we intervene appropriately, if we’re successful, we can actually get a person back to healthy functioning if we intervene early enough. If we deal with somebody when they’re “just pissed off all the time,” when we have to walk on eggshells around them, we can intervene meaningfully there, and maybe we don’t have to deal with it when they assault somebody, because I promise you, once the assault has occurred, there’s no going back. They’ve lost their jobs, their families are impacted, we’ve got a work group that doesn’t trust management. The costs are just … the ripple effect is huge. When we intervene early, we have a chance at success. Justin Scace: That’s great. That’s great advice for a safety professional. Before we sign off, do you have any last sort of sneak peeks you’d like to give us of your upcoming talk at the 2019 Workplace Violence Prevention Symposium? Patrick Prince: I will talk a little bit about what I learned through law enforcement. I will talk a lot about how we translate that into the workplace, and what I think people will appreciate, I hope, is that this is not going to be an intellectual kind of approach. It’s a nuts and bolts, it’s a real world … Before I took this current position at USC, I spent 30 years consulting with companies on setting up policies that actually work, and I think people will appreciate that this is a nuts and bolts kind of approach, but it has decades of experience and success. Justin Scace: That’s fantastic. Well, we’re really looking forward to your session. It’s certain to help safety, security, HR professionals consider some new angles for keeping their workplace safe. Thanks very much again, Patrick, for taking the time to join us on EHS on Tap. Patrick Prince: It’s my pleasure. Thank you so much for having me. Justin Scace: You’re very welcome. We also want to say thank you to our listeners for tuning in today. 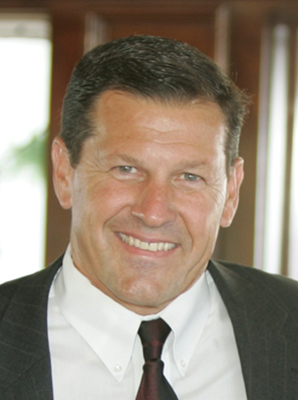 If you want to learn more from Patrick and additional workplace violence experts, be sure to register for the upcoming 2019 Workplace Violence Prevention Symposium taking place March 14th through 15th in San Antonio, Texas. Now, seats are filling up fast. For more details, visit live.blr.com, or you can click on the links and banners for the event that are appearing on this episode’s EHS Daily Advisor webpage. As always, we want to remind you to keep an eye out for new episodes of EHS on Tap, and keep reading the EHS Daily Advisor to stay on top of your safety and environmental compliance obligations, get the latest in best practices, and keep your finger on the pulse of all things related to the EHS industry. Until next time, this is Justin Scace for EHS on Tap. Patrick Prince is the associate vice provost and chief threat assessment officer for the University of Southern California. In addition to his role at USC, Patrick is a standing member of corporate threat assessment teams for several Fortune 500 companies as well as numerous cities and government agencies. He has consulted on more than 2,800 cases dealing with a wide array of situations ranging from intimidation, harassment and verbal threats to physical assaults, acts of sabotage, felony stalking, discharging firearms in the workplace and on-the-job homicide. Patrick will be presenting an educational session, “Substance Abuse and Workplace Violence: Understanding the Impact and Addressing the Risk,” at BLR’s upcoming 2019 Workplace Violence Prevention Symposium, taking place March 14 through 15 in San Antonio, Texas. Register Now!